Originally from Oregon, with a long stop in Texas, Deryn Mentock now lives in the wild west of Wyoming. There, she wrangles a husband, an energetic Welsh terrier, and a 117 year old farmhouse set on four acres of heaven. 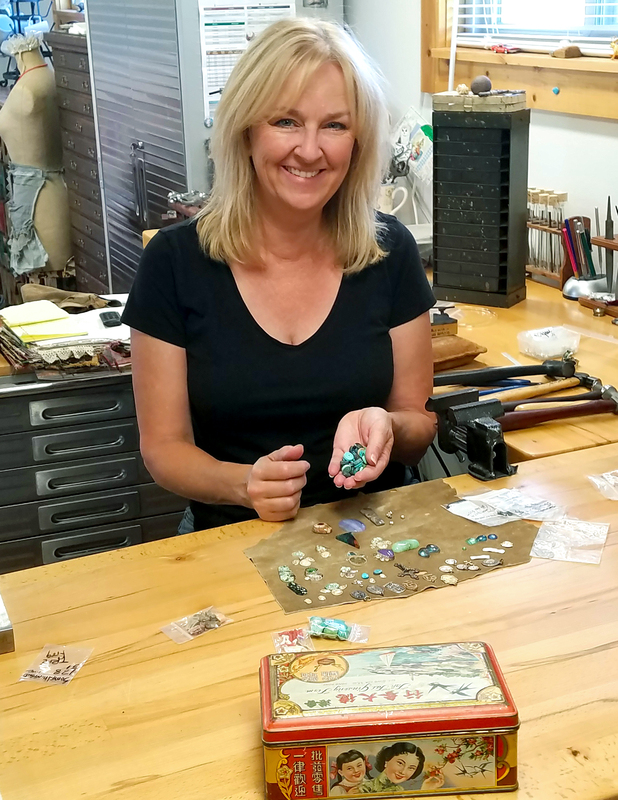 Deryn has been passionate about art, especially jewelry design, for as long as she can remember. Her distinctive style has emerged through years of practice in metalsmithing and jewelry making techniques. When she's not traveling to teach, or working on the farmhouse, she is in the studio creating. As a nationally recognized instructor, Deryn loves sharing her knowledge of technique and design. She's an original in the field of online jewelry making classes where she offers excellent and inspiring creative content.